As you can imagine the summer season is a Rafting companies busiest time. This summer has been no different, it is busy and we love it. We have had customers from all over the UK (Scotland, England, Wales and Northern Ireland) as well as lots of tourists from Europe, Asia and the Americas. We strive to make every trip we deliver worthy of being left a positive review and this summer our clients have left some crackers. 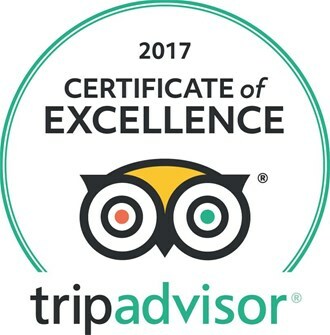 We will continue to try and exceed our customers expectations at every turn and keep pushing to create excellent adventures for all to enjoy. We spent a day with Splash end of June, canyoning in the morning and water rafting in the afternoon. James, Alex and Bonnie was a great team ensuring our safety and lots of fun. Canyoning is definitely for those looking for adrenaline rush! Although my daughter and I sat out a couple of the last jumps bc the water was too cold, we had fun and it’s definitely an experience to talk about. We did rafting in the afternoon with them again and Alex was our guide. It was great fun and we wish it could be a longer ride. They provide free photos for us to download after the trip which is a bonus. Big Boat, Big Rapids, Big Ian! The experience began with the initial telephone contact to book the rafting. Staff were very friendly and professional. Email confirmations were sent when they said they would be and detailed everything you need to know from what to wear to where to go. The staff even called the week of the booking to confirm numbers. On arrival at the river we were greeted by staff and shown all the safety equipment/ rafting gear.The slight negative point is that we had to wait on 2 people (who never showed) as they were part of the same booking slot. This meant it ate into our actual rafting time. Nice of the staff to give those people a chance but negatively impacted us as a result. After this came the actual rafting. Half of my group went with James while my half got Big Ian. Big Ian is appropriately named – a big lad capable of carrying half the raft single-handed (took me and a mate struggling to carry the other half) From the moment we pushed off into the river it was clear we were in professional hands. Ian went over the basics, ran through some drills then ensured we knew the instructions before hitting every rapid. He was also a nice friendly guy who chatted away to us in the raft during calmer waters. A good day made better with a good guide. At the end of the session you carry your boat back out the river, get dried, changed and go. Photgraphs of your session are taken along the way and uploaded to the rafting website for you to download – a nice touch! In a nutshell: great day, great staff (from initial call to rafting), great photos, great experience (which we plan to repeat). Sunday 2nd July, 13:00 start. So we were a stag party group and my best man did the pre-organisation bit; which from what he told me was always professional and timely, no matter the query or time of day. Our splash arranged minibus arrived on-time and collected us swiftly from Edinburgh Haymarket without a hitch. The guides were super organised at getting us kitted out in gear, (that was well looked after too) and covering safety briefings. The River Tay is a calm river so I’d suggest to groups wanting a more of a “Meryl Streep, River Wild” experience should book to do the River Tummel, but this didn’t stop us having a lot of fun and anyone with a group complete novices/aquaphobes should be fine in my opinion, on the Tay. We were never bored; banter was always in good supply and although we had a couple of team members who were very nervous I think Bonnie and Jen have won them over to white water rafting. Definitely the best day of the stag trip, Thank you girls ! Great day had canyoning and rafting on the Tay. The guides at canyoning were patient and encouraging, would definitely recommend canyoning.Although we found the Tay quite tame.. our guide Pinxon ensured we had a great time. In hindsight we would have done the Tummel for more of a thrill. Unbelivable Bugging session !! I was dreading it (it was a gift) BUT it became the best gift ever !!!! The whole session from arrival to goodbye was fun, professional, caring, relaxed and a blooming great laugh! James was amazing and handled the fact that the group was split between an all male party and one couple (us) so well ! Hint- is to bring your own thin walking or running gloves that can be worn underneath the webbed bugging gloves if your hands are pone to get cold. Great experience made even better with the staffs that run it! Great sense of humour and know what there doing!! River tummel white water rafting! Big thanks to Chris, he made it fun and safe in the process can’t wait to come back! Big thanks to steve for the informative safety show! Would recommend to others, glad we opted for this one as think the river Tay would of definitely been to tame. Can’t wait to see the pictures now. Keep up the good work! The tummel itself was exhilerating and we never felt unsure or uncertain at any time, Chris was so reassuring and calm it really put us at ease. I even asked him to sing some of his commands to which he obliged and had us all laughing as we journeyed down the Tummel. The final rapid section and 18ft drop was jaw dropping and despite never habing rafted before we weirdly felt in control and it’s all thanks to Chris and his guidance and support. You underestimate the workout you get for the hour you’re on the boat so prepare to feel a little stiff the next day! Signed up my daughter and niece and from start to finish these guys were awesome!! Excellent customer service and a super fun way to spend the afternoon on the river. I wasn’t rafting and they recommended a wonderful hike down the road, which I would also recommend. The girls had Pinxo as their guide and they said he was the best! Came back with loads of laughs and stories!! Thanks guys this was a highlight on our adventures! Booked rafting for group of 7 adults and 9 kids (ages 6-14). Few kids were a bit apprehensive beforehand, but all loved it! Rafting was quite tame, but perfect for us. So much so that kids (and some adults!) were jumping the water where opportunities made it possible. Our guides, Pinxo and Alex, were great. Pinxo had the boat with most of the kids and was excellent with them, getting them all involved and playing games. And for more info on our excellent staff click here.